"Rick Bass in the Wilderness"
This guide is available as a free, downloadable, searchable .pdf if you sign up for the free Ron Strickland Newsletter. 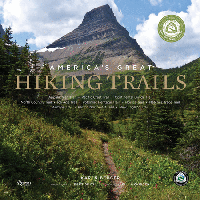 This 400-page, "congressional route" PNT guidebook details the trail that we volunteers developed over several decades to offer you the maximum in scenery and adventure. 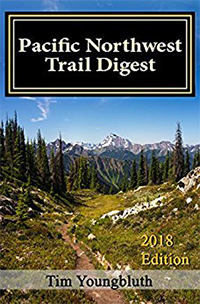 Pacific Northwest Trail Digest: Trail Tips and Navigation Notes (2018). 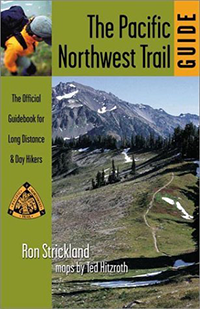 This book will guide you to every campsite, water resource, and resupply point on your trek. Tim Youngbluth updates his book annually with information from the previous year’s hikers. 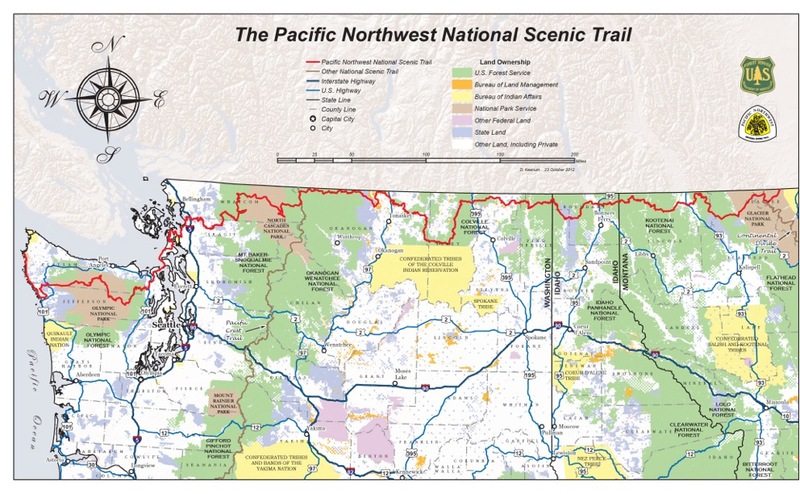 This is an essential planning resource for hikers and long-distance hikers of the Pacific Northwest Trail. 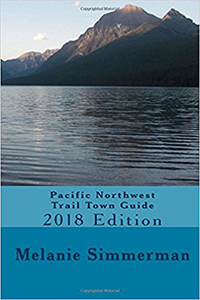 The book is chock-full of details about what towns are along the trail, where to re-supply, and the necessary town resources the hiker will need for his/her town stay. Motels, restaurants, grocery stores, best bakeries, brew pubs, and pizza on the trail – it’s all in this handy guide. Town maps showing the location of critical services are included to help the hiker orient himself/herself in each town. Grizzly Bears and Razor Clams tells the story of Chris Townsend’s walk along the 1200 mile Pacific Northwest Trail, which runs from the Rocky Mountains to the Pacific Ocean through the states of Montana, Idaho and Washington. 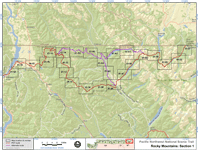 This is a wilderness route which much challenging terrain and remote country inhabited by bears and wolves. 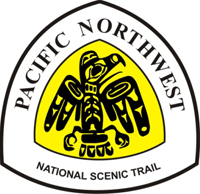 There is a lovely chapter about the Pacific Northwest Trail. The Vail Daily newspaper listed this book as one of 2014's ten best books. This 400-page PNT guidebook details the congressional route that volunteers (beginning in 1970) devised over several decades to offer the maximum in scenery and adventure. This guide is out of print, but if you sign up for the newsletter you will receive a free PDF download of the whole book! You can sign up here.